We have a few new updates today, but nothing special like a new Android upgrade. However any update comes with a fix for something so it is still important to keep your phone updated. The Galaxy Tab 3, the Kids edition, received an update in Luxemburg. 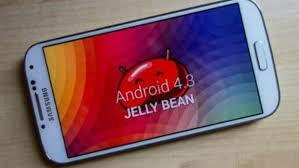 A few updates were released for the Galaxy S4 Mini and for the Galaxy S4 LTE version. You can check for updates using Kies or just wait for the OTA. For those of you who want to manually update their device using ODIN, you can download the firmware from below, and then just follow the steps in this tutorial: How to manually update Samsung devices using ODIN. We’ll add to the list the new updates as they are released.